Cambro 9 inch scallop utility tongs are constructed of high quality black plastic and are a great tool for any kitchen. 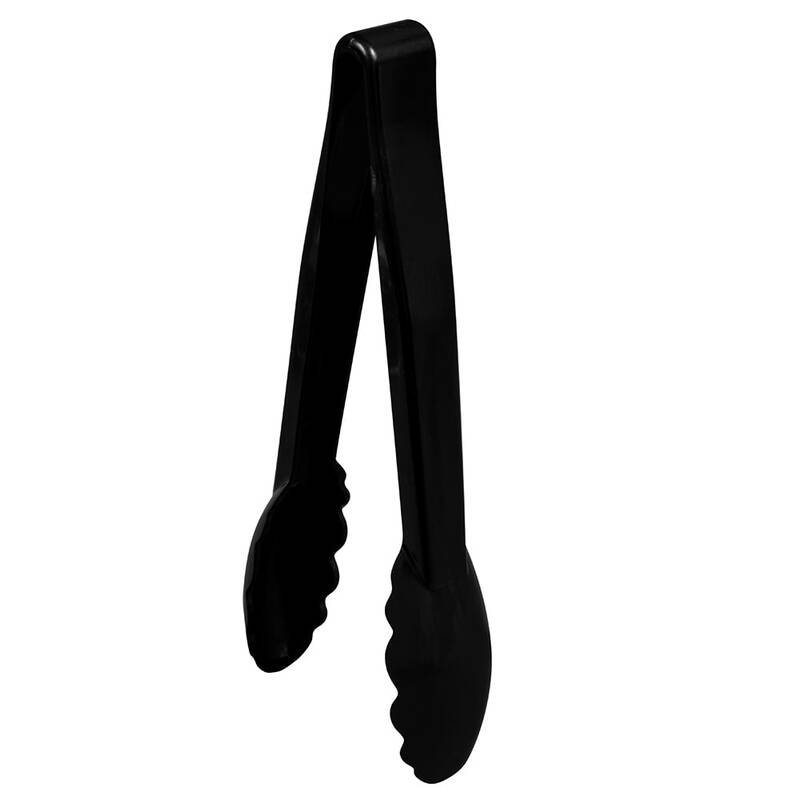 These 9" black scalloped utility tongs are great for plucking up vegetables at the salad bar or plump cookies at the desert line. The 9 inch length is ideal for keeping your hands out of food pans and pots, to prevent messes. 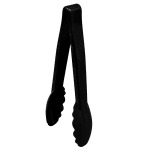 The black color of these scallop utility tongs make them easily identifiable and hides water spots, dents and scratches so that your scalloped tongs always look like new!